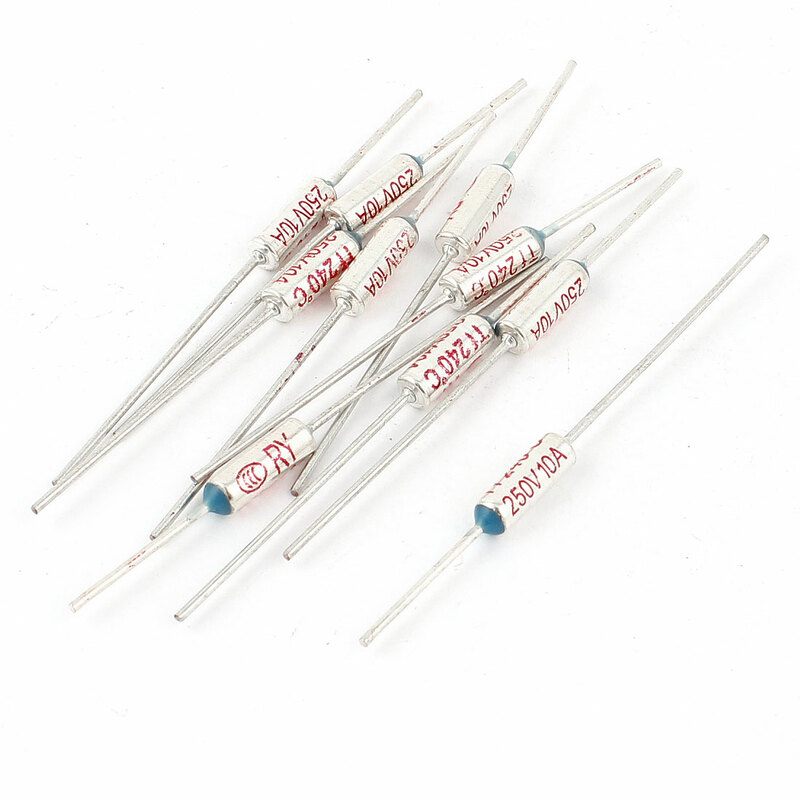 Metal thermal fuse (thermal cut off, temperature fuse) which use heat sensitive grain materials (organic chemical) as heat sensitive material. Function is to cut off the circuit of appliances when temperature exceed specified TF value because of unexpected fault. Widely used in electric current provider, power switch, computer, telephone, home appliance, communication products, all kinds of instrument and electronic and electric components, motor and all kinds of small home appliance such as electric iron, thermoelectric blower, microwave oven, refrigerator etc as heat protection, etc. Rated : AC 250V 10A;Pin Diameter : 1mm / 0.039"
Body Size : 13 x 4mm/ 0.5" x 0.16" (L*D);Total Length : 65mm/ 2.5"